"Explosions have been reported at a downtown Phoenix, Arizona, hotel likely due to electrical problems, according to KNXV-TV. The Sheraton hotel located at 340 N. 3rd Street has been evacuated, but there’s no sign of a fire, the TV station wrote, citing Phoenix Fire Department. The booms interrupted two seminars on the hotel’s second floor where Marla Arnold saw things bounce off tables and felt the entire building shake. "WALNUT CREEK (CBS SF) — Two people are critically injured and one is unaccounted for after an explosion and fire at an apartment complex in Walnut Creek Friday morning. Police said the fire broke out in the 1500 block of Sunnyvale Avenue at 10 a.m. The top floor of one of the 4-unit apartment units was completely blown off from the explosion. The fire was extinguished shortly before 11 a.m.
At least one of the two people with critical burn injuries have been airlifted to a nearby hospital, according to Ken Kirby with the Contra Costa County Fire Department. One occupant remains unaccounted for. The partially collapsed building is too unstable for crews to search for a possible victim, according to a fire official. Contra Costa County Fire investigator Vic Massenkoff said the possibility of a gas leak was for the most part ruled out." 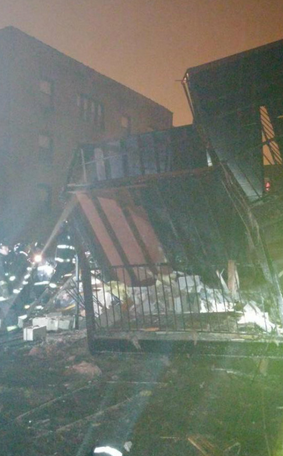 An apartment building in Washington Park completely collapsed after an explosion, fire officials said. At least two people were injured when the building, located at 58th Street and Calumet Avenue, collapsed about 7 p.m., said Larry Langford, a Chicago Fire Department spokesman. At least three oil workers were killed and 10 were injured in an explosion Wednesday at an offshore oil and natural gas platform in Brazil operated by state-run energy company Petroleo Brasileiro SA. A gas leak appeared to be cause of the accident aboard the Cidade de SIao Mateus, a floating oil production, storage and offloading ship (FPSO), said Davidson Lomba, finance director of Sindepetro-ES, the union representing workers on the platform. The ensuing fire was quickly contained and the platform was stabilized, Brazilian oil regulator ANP said in a statement. No oil leaked into ocean, it added. Petrobras, as Brazil's national oil company is known, said in a statement that 74 workers were on board at the time of the accident. Six remain missing, the company said. Officials at Norway-listed ship leaser BW Offshore Ltd., owner of the ship, were not available for comment. Lomba said it was unclear whether the dead and injured workers were members of his union, third-party Brazilian workers or foreign employees of BW Offshore. Security concerns at Petrobras had already been mounting before the accident. Huge investments, money-losing fuel subsidies on imports and the largest debt of any oil company in the world have crimped cash and forced Petrobras to operate many facilities at full capacity for long periods without maintenance." 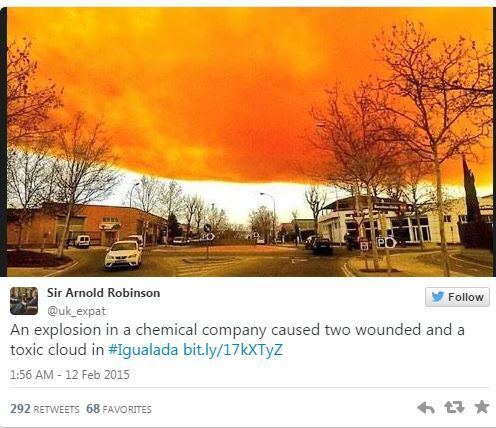 " Three people were reportedly injured in a chemical explosion in northern Spain, which created a toxic orange cloud. Residents in towns around Barcelona were told to stay indoors. The restrictions were lifted after about four hours. The accident in northeastern Spain appears to have been caused by two chemicals accidentally mixing while on their way during delivery, the regional government in Catalonia said, as cited by Reuters." 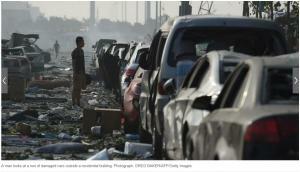 "The explosion and fire happened at Simar, a chemical distribution company. The explosion resulted in a thick orange cloud, which prompted government warnings for residents in nearby towns to stay indoors and shut their windows. Authorities also shut down several roads." Residents were forced out of their apartments and into the bitter cold after a natural gas explosion in Philadelphia's Chestnut Hill section early Monday morning. The explosion happened around 1:45 a.m. on the 100 block of Benezet Street. Fire Crews arrived to find the windows of a house blown out, the walls buckling, but there was no visible fire. The southeast corner of the apartment building had exterior damage. PGW and L & I were called to the scene to access the situation. Officials say nine adults and one child managed to escape and there were no injuries. One resident told Action News, "I was asleep. I thought a car came through the intersection and went through the building. 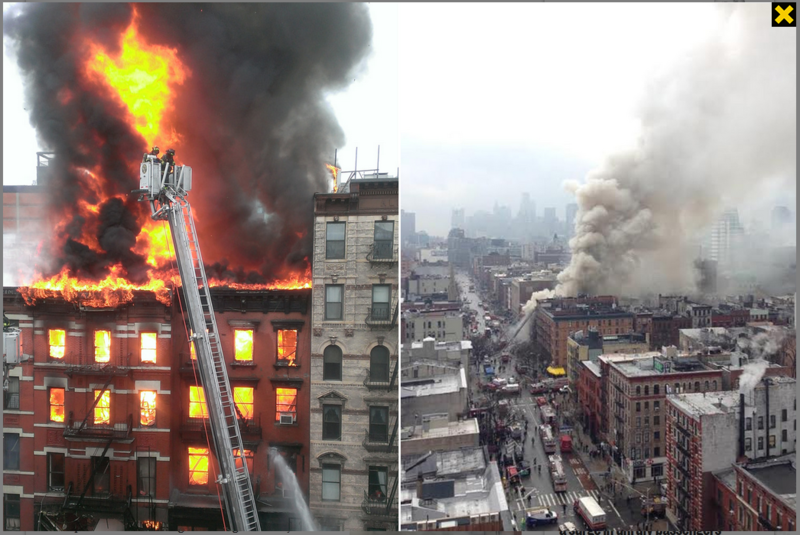 It was a huge bang and immediately the building filled with smoke," said Paul McGinty. The Red Cross arrived to assist the residents, but no emergency shelter was needed." "Wholesale gas prices rose 6 to 10 cents in California after a large explosion at the Exxon Mobil refinery in Torrance injured four workers and shut down a portion of the plant. “The shutdown at the Torrance refinery coupled with the earlier shutdown of the Tesoro Golden Eagle refinery has squeezed the supply of gasoline,” said Linda Rapattoni, spokeswoman for the California Energy Commission. While wholesale prices jumped, AAA reports the average price of regular gasoline in California increased by 1.8 cents per gallon over Wednesday, Rapattoni said." 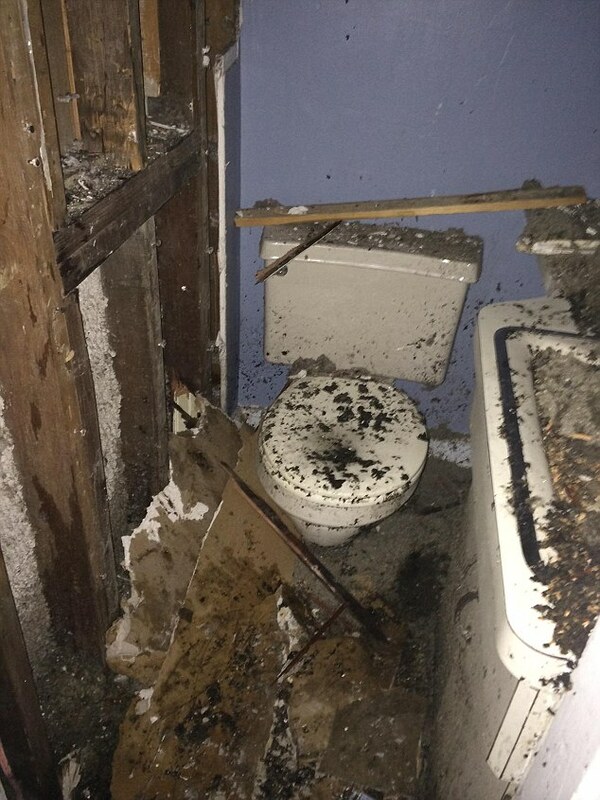 "A man in Providence, Rhode Island got the fright of a lifetime this week when he went to use his friend's bathroom and the restroom exploded. Neurosurgeon Jeffrey Oppenheim of New York was visiting his friend Andrew Pessin on Sunday when he went to use the first floor bathroom just 10 minutes after arriving. Oppenheim says he heard a strange clicking noise - like a pilot light igniting - in the lavatory just second before a mysterious combustive force through him out of the room and into the kitchen. " 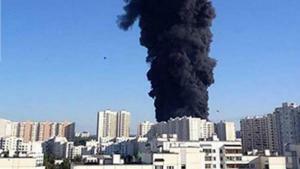 "THE explosion could be heard 15 kilometres away. A gas leak at a house in Stafford Township in New Jersey was being investigated when the house exploded. A dashcam mounted on a Stafford Township Police Department car captured the intensity of the explosion at the house, which was under renovation, Ashbury Park Press reported." Seven employees of New Jersey Natural Gas, six firefighters and two Emergency Medical Services employees were injured at the scene. Two of the gas workers suffered life-threatening injuries and were taken to AtlantiCare Regional Medical Centre in Atlantic County for treatment. The other eight victims, who suffered minor injuries, were taken to the Southern Ocean Medical Centre in nearby Manahawkin, where they were treated and released. None of the injured has yet to be identified. Houses in nearby streets shook and have reportedly been damaged." 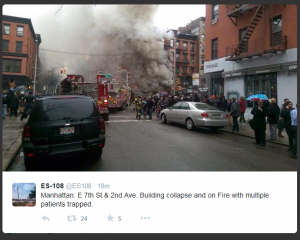 EAST VILLAGE, Manhattan (PIX11) – The FDNY is on the scene of an apartment building collapse in the East Village after a possible explosion Thursday afternoon. The building, on Second Avenue and Seventh Street, is currently on fire. The explosion possibly happened on the first floor of the building. 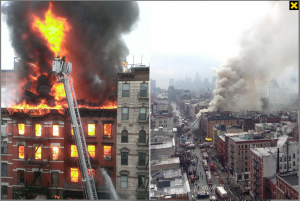 The raging fire has been upgraded to a four-alarm call at the mixed occupancy building that the fire department called “a major building collapse” in a tweet. "GREELEY, Colo. (CBS4) – Numerous explosions have been seen during a fire at a wastewater injection well tank site in Weld County. The site is located near the intersection of Weld County Road 47 and Weld County Road 64, just northeast of the Greeley Airport. Fracking wastewater, which does contain some petroleum, is stored at the site." "CNN)A natural gas line explosion at a law enforcement shooting range in Fresno, California, injured 11 people, including some inmates who were on a work detail there. Others being treated include a county road worker and two sheriff's deputies, Fresno County Sheriff Margaret Mims said. The exact cause of Friday's blast is under investigation, Mims said, but it happened at the spot where a county worker was operating a front loader." "KARNES CITY --- A large explosion sent flames more than a hundred feet into the air Friday afternoon at an oil facility north of Karnes City, but no injuries were reported. The fire started at 4:10 p.m. after lightning struck at least one tank at Shale Tank Truck's business property while heavy rainstorms moved through the area, said Karnes County Sheriff Dwayne Villanueva. Highway 181 north of Karnes City was closed due to the fire and was expected to reopen at about 7:30 p.m., Villanueva said." "JORDAN TOWNSHIP — Emergency crews evacuated homes near the Lycoming/Columbia County line because of a reported natural gas line explosion. According to Columbia County EMA officials, there was a “pipeline incident” around 9:30 p.m. on Wilson Road in Jordan Township near Unityville. There was initially a fire but it has been put out. 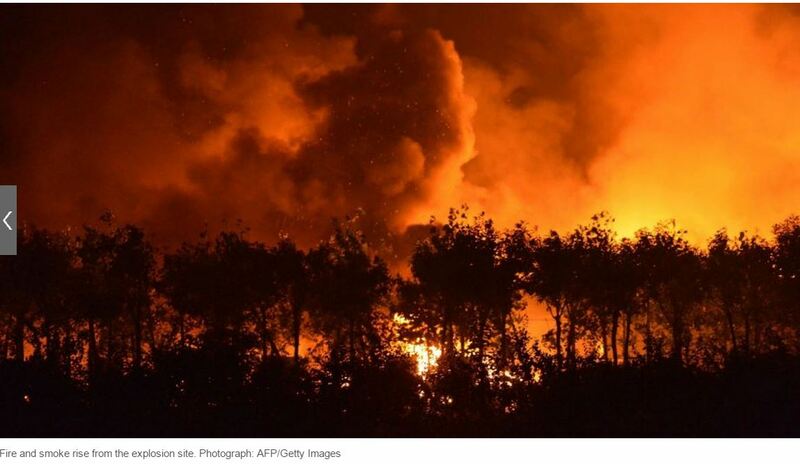 An initial evacuation radius of three miles has been reduced to one and a half miles." "On top of the flooding in some parts of Bossier Parish, several agencies were called to a subdivision along the Red River after a major gas line rupture. It happened around 7:30 p.m. Tuesday in the southern part of the River Bluff subdivision in an newly developed area where no homes had been built yet. Just before 10:00 p.m. the "all clear" was given after a major gas line rupture. Bossier Parish sheriff's deputies say the line is not near any of the houses but did cause somewhat of a geyser in the flooded area. Bossier Parish sheriff's deputies, Louisiana State Police, Hazmat, CenterPoint Energy and the Louisiana National Guard all responded to the scene. However, CenterPoint Energy in Houston claims the line is not owned by them. The company says it is a transmission line, not a distribution line and CenterPoint is a distribution company that serves Northwest Louisiana. Lieutenant Bill Davis with the Bossier Parish Sheriff's Office confirmed with us just after 9:00 p.m. that the line is actually owned by Regency Gas Services. Davis says there is a valve on both sides of the Red River and crews have managed to shut off the valves. Trooper Matt Harris with Louisiana State Police says the residents in the neighborhood were never in danger." "A blaze from a ruptured gas pipeline near Cuero in Texas is being allowed to slowly burn out. A local sheriff said he expects this to happen by Monday morning. A huge column of fire was visible for over 20 miles after the pipeline caught fire. No injuries have been reported so far, according to Raul Diaz, a deputy with the DeWitt County Sheriff's Office, as cited by My San Antonio online news. “If we were going to have a fire from a ruptured pipeline, I don’t think we could have picked a better location, as there were so few homes around there,” said Joel Zavesky. He added the Sheriff’s Office doesn’t have any idea what caused the blaze. There was no major damage as a result of the inferno. Some telephone poles were damaged and there were also some grass fires. Sheriff Zavesky says he expects the fire to burn out by Monday morning. The incident took place near Cuero, a town about 75 miles east of San Antonio." massive gas storage field called Dawn. Part of the Canadian Union Gas system. Biggest in Canada and the NE. and also Enbridge Line 9-- being reversed. They run in nearly the same path? Might be different names for same system? DAWN = 156 billion cubic feet of storage!!!" Rail company SBB reported no delays on trains running through Olten. "A large fire sent dense black smoke billowing over the northern Swiss city of Olten on Tuesday, causing alarmed passersby to run from the scene. Local media quoted witnesses reporting several explosions from the fire, which broke out in the afternoon near the centre of the city." "Tianjin, China (CNN)You can see the devastation everywhere: in the hollowed-out shells of buildings, in the anguished faces of relatives, in the parade of scorched cars. But what set off the terrifying explosions that ripped through warehouses containing hazardous chemical materials, shooting fireballs across the sky and shaking buildings more than 2 miles away? Hours later, amid the destruction in this northern Chinese port city of more than 13 million people, the cause of Wednesday night's blast remained unclear. A chemical odor hung in the air. Fires still burned in the waterfront industrial district where the explosions went off. And the grim toll kept mounting. Among the 50 confirmed dead are 12 firefighters, officials said Thursday. More than 500 people are hospitalized, 71 in critical condition, the state-run Xinhua news outlet reported. Dozens of firefighters are missing. Local authorities suspended firefighting efforts Thursday because of a lack of information about the "dangerous goods" stored at the warehouse at the heart of the blasts, Xinhua said." This is a nightmare, They say 44 died, hundreds injured. I would not wish something like this on my worst enemy. One cannot even imagine how this would have been to have experienced first hand. "Moscow residents thought nuclear war had broken out yesterday after thick black smoke began rising above the city’s skyline. Dense smoke rose hundreds of metres into the air above the Russian capital’s bright blue afternoon sky, RT reported. Videos and pictures of the smoke began flooding social media as speculation and panic spread quickly as to what was going on." 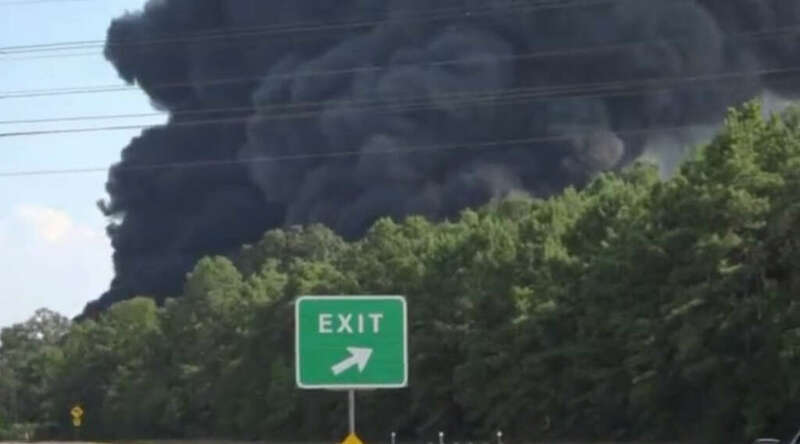 "CONROE-Explosions and a fire that rocked an oilfield drilling chemical company Friday apparently caused no injuries and by evening as the flames were extinguished investigators began to figure out what caused the disaster. The explosions, first reported around 4:45 p.m. Friday at the 4300 block of South Loop 336 East, sent shockwaves across the area with billowing black smoke visible for miles. The ensuing fire burned down two metal warehouses used to store chemicals for Conroe-based oilfield drilling products manufacturer DrillChem Drilling Solutions. "This is the first fire of this size that I've seen in a facility like this in my 14 years in Conroe," said Conroe Fire Marshal Mike Legoudes "It's pretty significant." These events affect all who live in these communities, whether it's China, Russia, or Texas, so I hope they all recover soon. I certainly hope it's not what I think. CCTV and other Chinese MSM reported re: Nerve Gas presence as in very high level after the news got out. After about 6 hours since the news got out re: toxic gas, Chinese government went into shut down of all related articles and MSM covers on it. 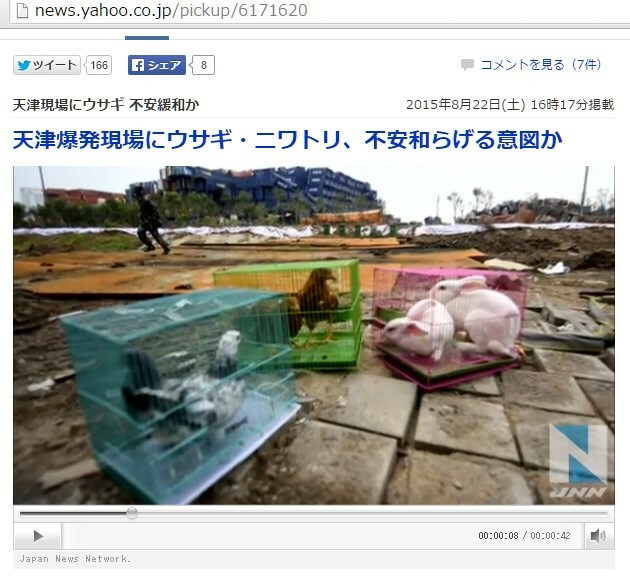 This is a screen shot from a Japanese news clip, showing what they are doing inside TianJin which I found today. The silly news report was saying "Is this done to alleviate the anxiety of the people in TianJin?" Cross posting some vids from a Chronicle of WW3 thread....this is a proper place, though I felt the news gotta be shared in the Chronicle thread, too, for its significance. US military warehouse exploded in Japan just about 1 1/2 hours ago. 200ha sized area that is 4~500 metres away from railway station to pile up the supply for the US military use was apparently experienced explosion and fire. 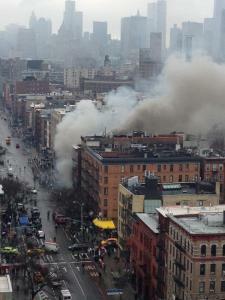 Someone contacted the Japanese fire fighters that they heard the explosions about 10 times, and able to see the fire. 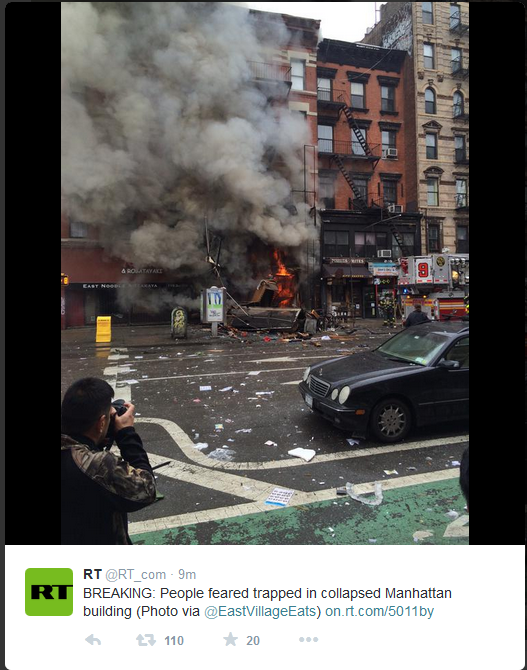 Apparently there were about 10 explosions heard prior to the fire. 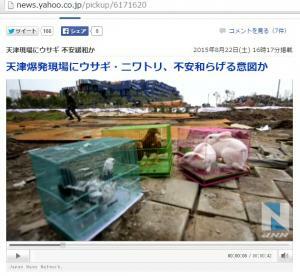 BUT Japanese Fire Fighters nor Police CAN'T GO IN THERE TO DO THE JOB due to the US regulation!!!!!!!!!!!!!! Mmmmmm I think this is so strategically organised. Also because people don't know wth are inside the warehouse, too dangerous to just pour water, they are holding up the situation and talking with the US fire fighting members how to go about it. Currently 13 Fire Fighter trucks and Ambos are hanging there to help. 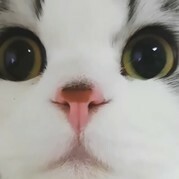 Do you think what I think...? The yard is basically governed under the US law, not covered by Japanese law. I think it's been done intentionally by Chinese connection, even if it's been done by Koreans living in Japan. It will be very interesting to see what the US would describe this incident as. If they say it was due to the overheating of some chemical substances (because it's been really hot in Japan), we all can grin. The US doesn't want any feathers ruffed up at the moment between China and them...just yet. The warehouse is a sitting duck. It's an easy target, if someone wanted to cause problem there "professionally". ...But peeps....I also smell different possibility. Maybe it's to do with Alien faction stuff. This connects to Jeffrey Alan Alien Anunnakine Hybrid Death incident. Just found out: Back in 1999, this US Army warehouse got in trouble with the peeps living around, as peeps found out they were piling up serious health risk substances. This is the warehouse to keep from the ammos to cars and whatever else the Army to fight to have enough to fight. Only understandable for that matter. But WHAT WHEN THEY WERE IGNITED IN THE EXPLOSIONS? Toxic Fumes and other crap may be blown to wide areas, too. I can only suspect that Chinese side trying to create some division in the US-Japan tie. 6 hours later since the start of fire, after 7am Japan time, the fire is now extinguished. No known case of injury. But the US is NOT TELLING JAPANESE MSM if they stock any radioactive substances in the place, what exactly were stocked. They only said the facility was a "pressured gas" plant. I think it really is China showing their power to assert. Japanese peeps would go nuts over the radioactive substance, so whoever started the crappy notion about the radiation level rising (it was written by Japanese, but the poster could be a Korean living in Japan who works for China) maybe implanting a psyop by telling so, trying to make the situation bad as much as they can. The location was in the negotiation of returning to Japan. At least 82 people have been killed and 42 injured after a gas explosion tore through a packed restaurant in central India. Dozens of office workers and schoolchildren were having breakfast in the popular restaurant in the town of Petlawad, in Madhya Pradesh state, when a gas cylinder exploded. The explosion triggered a second blast of mine detonators stored illegally nearby, according to police sources, at around 8.30am local time (4am GMT). "Multiple employees were injured in an explosion at the Priest Rapids Dam along the Columbia River in Washington, according to Grant Public Utility District, the dam’s operators. 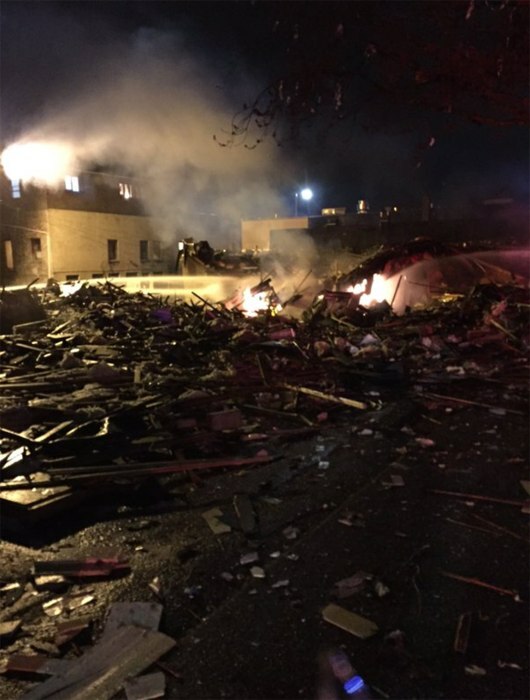 Grant County Sheriff's Office officials said there was an explosion of electronic equipment, and at least six employees were injured in the explosion, according to KREM 2. The Grant Public Utility District officials did not reveal the number of employees hurt, the extent of their injuries, or the cause of the explosion." Calif had cables cut, then the Oregon shooting, now this?? A massive explosion at an oil rig in Texas has occurred near town of Encinal, local KSAT 12 reported on Friday. The explosion took place at about 4am local time. The explosion took place at the Lewis Energy facility, located near Encinal, a town located in south Texas about 120 miles southwest of San Antonio. The residents wrote on the town’s Facebook page that two explosions rocked the facility. Encinal has the population of over 600 people, according to the 2000 census. A pipeline explosion canceled a nearby school and created massive amounts of fire Friday morning in Encinal, Texas. 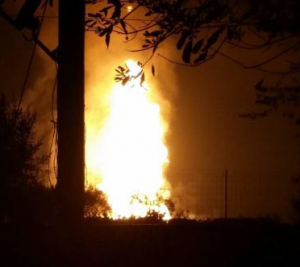 (UPDATE 7:30 a.m.) A representative for Lewis Energy Group confirmed they are investigating the cause of the explosion at its pipeline facility in Encinal Texas. 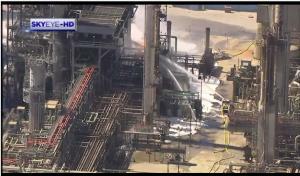 "PASADENA, TX (KTRK) -- One person was burned after an explosion at a Pasadena refinery Saturday morning. Officials at Pasadena Refining Systems, Inc., say the fire began around 10:15am at their refinery off SH 225 and Lawndale Street. The victim suffered burns to his hands. Residents in the area told abc13 they felt a powerful blast right before flames began to rise from the plant. A spokesperson says it all started with an issue involving a compressor. A fire quickly broke out, with burning diesel fuel sending huge plumes of black smoke into the air." "Nine firefighters were hurt after an explosion leveled several buildings in Seattle early Wednesday following reports of a natural gas leak, officials said. The Seattle Fire Department said eight firefighters and a battalion chief were transported to the hospital with minor injuries when a "massive explosion" struck a section of the northern neighborhood of Greenwood. At least 17 fire vehicles were at the scene after what one resident described as "an extremely loud boom." The initial call of a gas leak came in at 1:04 a.m. (4:04 a.m. ET), and the explosion was felt about 40 minutes later, said Seattle Fire Department spokeswoman Corey Orvold. The cause of the blast remained under investigation Wednesday morning. Officials had evacuated an apartment building and another multi-family dwelling as dozens of residents said on Twitter they had been woken by the explosion."